Turquoise is a gorgeous gemstone with a long history. It is also the birthstone for this month, December. To learn more about turquoise, keep reading! 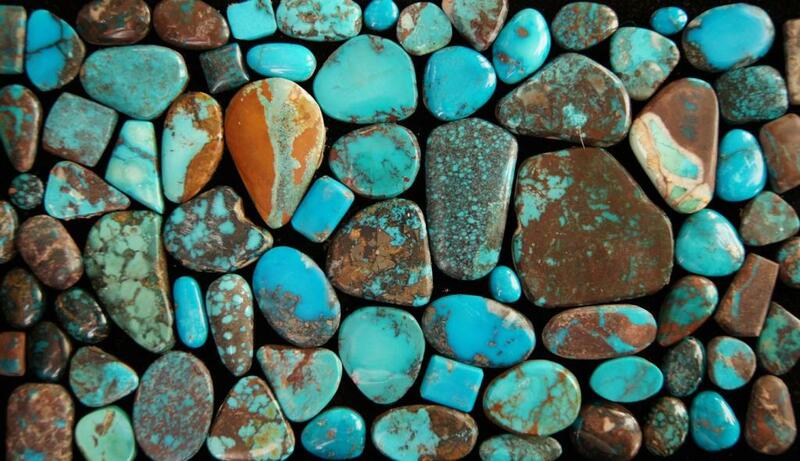 The history of turquoise is long and storied. From ancient civilizations to modern times, turquoise history has played a major role in the popularity of this stone. One of the earliest known turquoise-producing regions is Persia, where historians believe the stone has been mined for more than 2,000 years. Turquoise stones from this region are known for their pure, robin’s egg blue color. Early Persians believed turquoise represented the heavens because of its beautiful blue color and used it to cover the domes of palaces and places of worship. Two mines, Sarabit el-Khadim and Wadi Maghareh are believed to be the oldest known mines in the region. Archeologists believe Ancient Egyptians mined Sarabit el-Khadim for turquoise stones. There have been many turquoise uses throughout history and spirituality and supernatural beliefs have always surrounded this stone. The Southwestern United States is a significant source of turquoise and plays an important role in the history of turquoise. Archeologists believe ancient Native American tribes began mining turquoise stones at what is now known as the mineral Park Mine thousands of years ago. Tribes such as the Aztecs believed the stone was sacred and made intricate masks and other adornment for ceremonies and important rituals. From central Mexico up into what is now known as the American Southwest, turquoise was mined and cherished for generations. In the 19th Century, Navajos began working with silver and constructed the most popular varieties of turquoise jewelry known today. The methods and materials stood the test of time and today artists use the same methods and turquoise symbolism. The history of Navajo turquoise dates back to prehistoric times, many believe and ancient mining sites have been discovered in various locations throughout the Southwest. Southwestern turquoise varies in characteristics, depending on where it was mined. For instance, stones from Bisbee, Arizona are known for their hardness and brown matrix, for instance. If you’re interested in learning more about turquoise history follow this link.